Under the direction of new U.S. Attorney General Jeff Sessions, the Department of Justice has filed papers in court arguing federal civil rights law doesn’t provide civil rights protections against discrimination for employees on the basis of sexual orientation. This is in stark contrast to the directives of President Barack Obama’s administration. The move was an unusual one, wherein the department asserted its authority in a federal case pending in New York. It involves a basically private dispute between a worker in New York and his employer over the issue of gay rights and LGBTQ discrimination. In a friend-of-the-court brief, the Justice Department wrote that the 1964 Civil Rights Act, which prohibits workplace discrimination on the basis of religion, gender, national origin, race and color, does not, as a matter of law, protect those based on sexual orientation. The DOJ wrote that this is an issue that has “been settled for decades,” and that any effort to amend or alter the scope of Title VII needs to be directed to members of Congress, rather than the courts. The brief was filed the very same day a transgender ban was announced in the U.S. military by President Donald Trump. This, of course, has raised concerns among those in the LGBTQ community about whether this administration was working to undermine the rights won under the previous administration. The case in question is Zarda v. Altitude Express, before the U.S. Court of Appeals for the Second Circuit. In this matter, plaintiff filed an employment discrimination lawsuit citing Title VII of the Civil Rights Act, as well as New York law, alleging he was fired from his position as a skydiving instructor on the basis of his sexual orientation. The company fired the employee after an incident involving a tandem jump with a female customer. Plaintiff reportedly told the woman he was gay as a way of quelling the awkwardness of being tightly strapped together during a jump. The woman’s husband later complained to the company, and the company fired plaintiff. The district court ruled there was a triable issue of fact as to whether plaintiff faced discrimination as defined under New York law, but granted summary judgment favoring employer on the other issues. 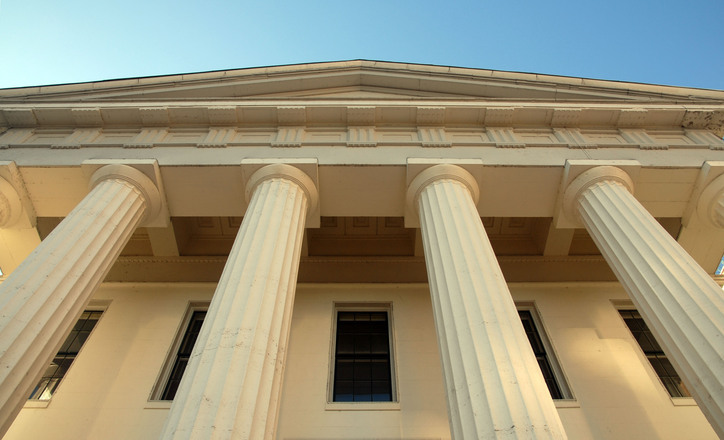 District court ruled defendants were entitled to summary judgment on plaintiff’s claims pertaining to Title VII because precedent has held Title VII does not protect against sexual orientation-based discrimination. The case later went to trial on the state-level claims, and a jury decided the case in favor of defendant. Court declined plaintiff’s request to reconsider its interpretation of Title VII. The court further declined to grant a new trial on the state-law claims, rejecting his assertions of unfair discover practices, improper influence of defense counsel (appealing to homosexual prejudice) and evidentiary errors. The U.S. Justice Department’s involvement in such a case is rare – but it’s important. Two years ago, under Obama, the U.S. Equal Employment Opportunity Commission issued a contrary ruling finding that discrimination against employees on the basis of sexual orientation was against the law. The DOJ reviewed that ruling, but it didn’t technically bind the federal courts. Still, the courts will often defer to federal agencies in their interpretation of federal law.